What if libraries across Oregon shared a repository of how-to instructional videos and tutorials? What if patron questions like, “How do I download an eBook?” could be answered by a slick two-minute video that any library using the same eBook platform could embed at the point-of-need? With an eye towards design thinking, performance support, instructional design, creative collaboration, and technology wrangling, these are the questions that we’ll address in this active discussion. 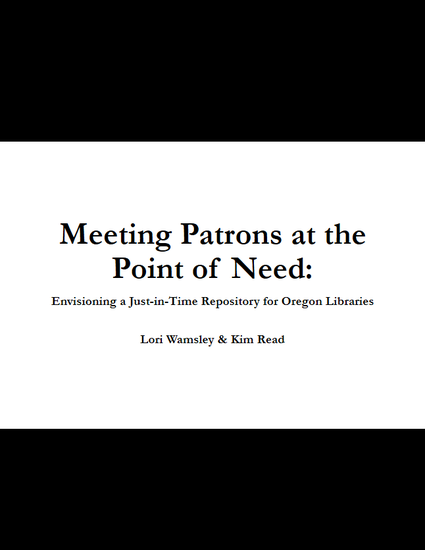 Together, we’ll envision what instructional content could best be shared among Oregon libraries and how point-of-need resources could support library patrons at all different types of libraries.